Mixed Martial Arts…as you’ve never seen it before! plus a BONUS LESSON = Vital Targets! Let me know if you are interested in hosting a Seminar. I will advertise your gym and help to promote the seminar. Here is a list of some of the topics we will cover. Seminars run between 2 and 4 hours depending on what you would like to learn. We will try to cover as much as possible. It is not expected for your participants to remember everything. They will always be able to refer back to this site for a refresher. This is a very fast paced and fun seminar. I don’t cover the basics in this seminar. This is for your students who already know the basic punches, stances, takedowns, etc… I can do an advanced fighter seminar or a “Learn the Basics” type of seminar, you choose. —TARGETS: Vital Targets for MMA Seminar Flyer.pdf This, my friends, is the future of MMA. Learn it now or get left behind! This is the future for a NEW BREED of SMART FIGHTERS. The fighters who learn this concept will have a unique and distinct advantage over their un-educated opponents. In this lesson, I will explain where the targets are and what happens when you properly strike them. This means to disengage and so you can set back up and run another “Play”. Or if you’re forgetting your game plan, this will be a reminder to get back on the plan. Practice this by sparring and having your coach tell you to “Re-Set” and you would roll out and back up away from your sparring partner to receive a “Play” and go again. This will get you conditioned to getting your mind back on the game plan. –Unique Grappling Moves and Defenses (Shoulder Jump Arm Bar (Rickson Gracie), 3 Brothers Drill (Rob Kahn & Matt Aroyo), Side Control Escape (Rickson Gracie), and Different Triangle Choke Escapes. —Unique Clinch Defense: Both arms come up the middle and push o’s chin or arms while running forward. When your opponent attempts to knee you he will go off balance, because you are moving/running forward while pushing their chin or triceps. –“SECRET MOVE” (seminar play) . This is a very effective strike when your opponent is on the ground and they are already fading or tired. It can be performed while you are in guard, mount or side control. 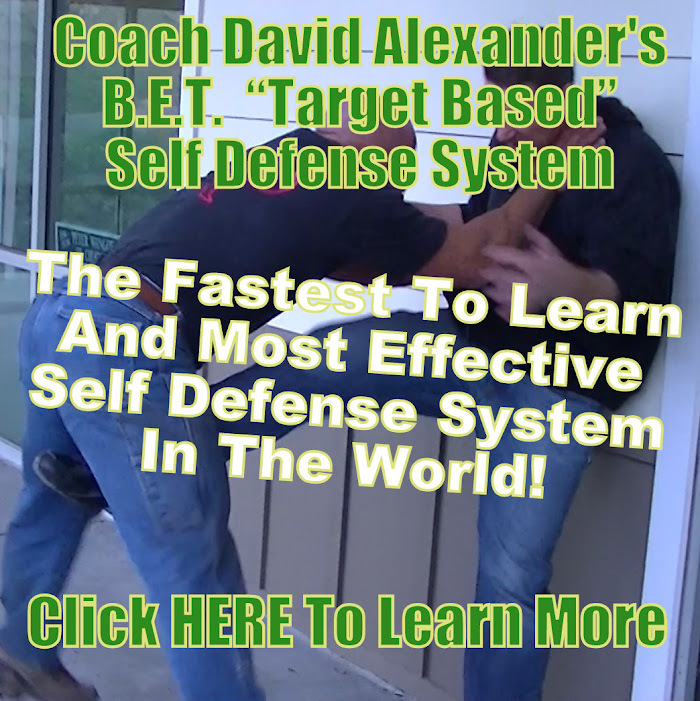 This is a very devastating strike that can end a fight with one shot and is performed when on the ground. Will only be revealed during a seminar. —“Mule” (seminar play) This might be the next “Crane” kick in MMA that keeps knocking out Former World Champions. I have not seen this kick done in MMA yet. I learned it when I was practicing Okinawan Shorin-Ryu Karate. It has to be done a very specific way. It will be devastating and you could end the fight with just this one kick. Will only be revealed during a seminar. Move forward with lead hand in o’s face pushing them backward and having them cover, drop down and drive fist through solar plexus. —“PISTON” (seminar play) This should be used a lot more in MMA. It’s also a great play to be used when you’re in trouble or trapped against the cage. Hold a 1 block while throwing repeated 2’s. The cross should start from an elevated position so that with every 2 that is thrown you are constantly blocking your chin with the punch. This is a shoulder trap arm bar taught to me by Rickson Gracie. Foot jab to inside of tibia/gastroc, pelvic plexus, solar plexus. Use a palm strike with the tip of the ulna when mounted. Target the jaw or solar plexus. Or “Power Jab” Stand more square and rotate left hip towards opponent with the jab. Original Combo w/ Power behind the cross. Step with front foot and lean to create more power and move head out-of-the-way for counters. After two or three OCP’s to the chin then throw the power 2 to the solar plexus. Keep the jab in opponent’s face (while pushing forward) to hide the big uppercut coming behind it. Drive up through your legs to generate more power on the uppercut. Stand in a boxers stance to extend your jabs reach. 1 (while simultaneously stepping in and to side with lead foot), spinning back fist (with opposite hand). Better when set up with multiple jabs throughout round. While moving forward and by opponent while leaning away at a 45 degree angle you will kick your opponent and move away. “GSP” This is definitely one of my favorites! JAB, JAB, inside leg kick while moving to o’s side. As you’re going by your opponent you can also use their shoulder, tricep or wrist to pull you by and to get them rotating away. JAB, JAB, inside leg kick while moving to o’s side (as you’re going by your opponent you can also use their shoulder, tricep or wrist to pull you by and to get them rotating away), Reverse direction and kick to back of knee (popliteal nerves). 3 head movement to 3 hook while driving up and forward with your legs. Target back of ear or chin. Move into opponent when they are getting ready to punch or kick and 2 (chin). There are different variations of this play. Lock up, move into opponent and wait for opponent to push back, drop down for double leg takedown, move to side control. Set up for a Judo toss and when you get opponent half way over, then slam to the mat sideways. If you’re not getting the Judo toss, get opponent leaning backwards to avoid getting tossed and then move back into them while tripping them. When opponent shoots put both forearms on opponent’s shoulders, toss to side or snap their head straight down and take the back.